Michael A. Lebowitz has a worthy goal: to correctly diagnose the causes of the downfall of so many socialist states in the late 20th century and to make sure that, in this century, socialists do not make the same mistakes. Unfortunately, he does not reach that goal. Lebowitz is the author of the book under review, The Socialist lmperative: from Gotha to Now (Monthly Review, 2015, NY, 264 pages) His new book amplifies themes taken up in the 2012 The Contradictions of Real Socialism: the Conductor and the Conducted. 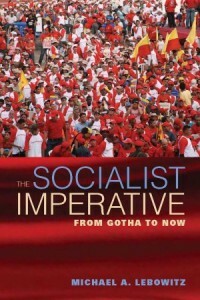 Much of The Socialist Imperative is a penitential read. Lebowitz parses Marx’s texts, trying to tease out of Marx’s metaphors and formulations in The Critique of the Gotha Program (1875) and other classic texts, an interpretation that accords with the author’s views on the Venezuelan Revolution and more generally, the path to socialism in this century. The quotationism has a pattern. It is as if capitalism and Marxism were frozen in time, as if mid-nineteenth century Marxism were the last word, as if the capitalist system had not evolved to become monopoly capitalism and imperialism. He has plenty of criticism of 20th century socialism, but he leaves out 20th century Marxism: Lenin and Leninism. The Socialist Imperative is a collection of eleven essays, unlike The Contradictions of Real Socialism which dealt with one basic theme: the question of 20th century socialism. The most important essay, reflected in the new book’s subtitle, explores Marx’s Critique of the Gotha Program. Offering a “heretical” interpretation, the author labors to find textual evidence of anarchist concepts in the Critique. Another essay restates Lebowitz’s analysis of 20th century socialism, adding something on market self-management in Yugoslavia. The author also acknowledges that the downfall of 20th century socialism stemmed from what occurred in its last decades, from the 1950s to the end. It was not doomed by nature or from its birth. Lebowitz is not wrong about the fact that, in the three decades before 1985, the Soviet authorities, for example, paid scant attention to the relations of production. They turned a blind eye to the growth of a gigantic, cancerous second (private, illegal) economy. The second economy, however, is not the Lebowitz explanation for the downfall. His social reformist strain persists: a perspective of incremental change, no qualitative break in the nature of class rule, and a denial that the state has a stable class character. Anarchism, like social reformism, is a petty bourgeois ideology hostile to scientific socialism. It reflects the class inconsistency and instability of the old and new middle strata of modern capitalist society. Its ideas reflect their class outlook, class interests, even class moods. In its pure form, anarchism’s basic idea is the rejection of all state power and the doctrine of the totally unlimited freedom of each individual person. To accomplish his “posthumous anarchization” of Marx , the author must revise the standard interpretation of Marx’s position on the state and on the stages of the new socioeconomic formation, positions which Marx sketched in his comments on the Gotha Program. Lebowitz wishes to turn the Critique of the Gotha Program into a critique of 20th century socialism. The author asserts 20th century socialism tried to build socialism on the defects of capitalism — the old capitalist relations of production — and it made little or no effort to change the relations of production. He mocks “two stagers,” claiming the idea that socialism has two stages — socialism and communism — is wrong, though it was obviously evident in Marx and reiterated by Lenin. He declares that Lenin and the Bolsheviks put too much stress on the development of the productive forces in the early years of building socialism in which bourgeois notions of right still prevail. They put too little emphasis on relations of production, leaving the working class weak and unable to resist when the crisis came in 1989-91. The author turns to anarchism to augment his theory of 20th century socialism. Lebowitz finds attractive anarchism’s ignoring of the stages of socialist development, its denial of the class nature of the state, its insistence on building socialism immediately, and its accent on immediate transformations. Lebowitz’s anarchism becomes clear in his section “The Misuse of the Critique of the Gotha Program.” He wants to go after Lenin, especially Lenin’s influential theses on the nature of the state in State and Revolution (1917). According to Lebowitz, a one-sided emphasis by Leninists on growing the productive forces – to the neglect of perfecting the relations of production from the start – can lead to fatal results. In “What is to be Done? “, part of his last chapter “End the System,” he spells it out. “The classic formula for ending the rule of capital has been to begin by taking the state away from capital, that is, by ending capital’s ability to use the police, the judiciary, the army, the legislative bodies and its other oppressive mechanisms to enforce its rule. This was the position advanced by Marx and Engels in the Communist Manifesto…. He ignores the question of which class wields state power. He demands Build It Now! [“It” being socialism]. What, then, becomes of the state in Lebowitz’s theory? His answer is contradictory and murky. 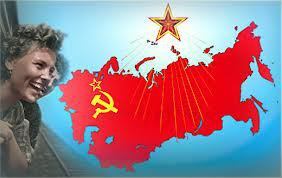 “To end the capitalist nightmare and to build the socialist dream requires the state. But what kind of state? In chapter 10, I argue that the state that can promote the necessary development of human capacities required for a strong working class is one based on the communal councils and workers councils and the mechanisms that link them. Only the new state, the state from below, is an integral part of the socialist dream… until such time as the new state from below is able to stand upon its own foundations, the old state is required if power is to be taken from capital and if decisive actions to support the interests of the working class, including the removal of barriers to the new state are to occur who else can end immediately capitals ability to use the police, the judiciary, the army the legislative bodies. Two states? One, the new grassroots state, is rising? And the other, the old one, is disappearing? By what alchemy is that to come about? Meanwhile, what about the bad old state, the state of the Venezuelan capitalists, still bent on maintaining exploitation and minority rule? In Venezuela, the bad old state is reflected in the fanatical hostility of the privately owned media to Chavez and now Maduro, the guarimbas [violent illegal street clashes, riots with rock-throwing], and the multiple coup attempts, with an eager ally in a US imperialism experienced in strangling revolutionary movements in Latin America. Most social democratic writers, when they discuss the matter at all, either repeat or leave implicit the dominant theory of bourgeois writers on the downfall of 20th century socialism: it stemmed from overcentralization and lack of democracy. Lebowitz does more; he is adding substantive content to his theory of the 20th century socialist downfall and a 21st century socialist resurrection. He offers a simple model of class conflict in 20th century socialism, a model shaped by anarchism. The Soviet workers didn’t do enough to defend socialism. Why? Socialism, as set up by Communist Parties, left workers passive and defenseless. Vanguard Marxism [read Communist Parties] left them weak. They were ill prepared to defend socialism when the crunch came in 1989-91. Unfortunately, he caricatures the various types of explanations of the downfall of 20th century socialism. In his own simple explanatory model which he calls “Contested Reproduction” there are three social groups: first “the vanguard,” which does the planning; second, the workers; and third, the managers. Lebowitz locates the material basis of the ideas that undermined socialism in the managerial class. A fuller summary of his model is given in a review of The Contradictions of Real Socialism: the Conductor and the Conducted. As to why the working class resistance was not sufficient to prevent the return to capitalism and the erosion of the job security and material benefits that workers enjoyed, Lebowitz blames “Vanguard Marxism.” He argues that the socialism that developed in the Soviet Union and Eastern Europe was not the socialism envisioned by Marx but a deformed, top-down socialism. 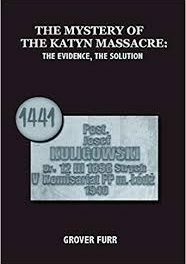 His argument is carried out at such a level of generality and abstraction by juggling arbitrarily chosen Marxist texts, that it is easy to lose sight of how little the argument corresponds to the messy facts of 20th century history. Why was an imperfect Soviet socialism, for example, replaced by gangster capitalism after 1991? He does not make theoretical generalizations from historical evidence. Instead, he deduces the downfall of 20th century socialism by the alleged characteristics of these three postulated groups, along the way equating managers – a social function that must occur in all societies — with capitalists. His mysterious “logic of capital” prevailed. Did 20th century socialism pay little attention to the relations of production? What about collectivization, an immense effort to raise private peasant farming to more efficient and socialist forms, namely collective farms and state farms, in other words, to change the relations of production in agriculture? What about Soviet industrialization itself, which created a giant Soviet working class, mostly out of the former peasantry? Wasn’t that a change in the relations of production? Lebowitz is enthusiastic about the Bolivarian Revolution. The author dedicates his book to Hugo Chavez. “In memory of Hugo Chavez-Frias who understood that it is necessary to reinvent socialism and struggled to do so. We look in the same direction.” To this reviewer, this dedication seemed a somewhat immodest claim of equal status with the great Venezuelan revolutionary. How similar this is to Lebowitz. Theories have consequences. Doctrines that advise revolutionary leaders to ignore the question of state power — and somehow Build It Now! — can damage a government under mounting attack from homegrown reaction and US imperialism. In all revolutions at some point the need arises to change decisively the class character of the state to ensure the survival of the revolution. 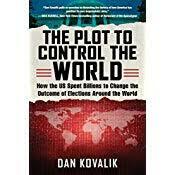 To win control of the executive branch of a government in an election is not the same as winning state power. Aside from a couple of ideas, the book under review is not a helpful contribution to the understanding of what went wrong in 20th century socialism. Its willful misreading of Marx leads to political advice potentially ruinous for revolutionary socialists. Latin American leaders need to find more realistic advice than they can find in the pages of The Socialist Imperative. Keeran and Jamison, op. cit. In David Laibman’s memorable phrase, it is the ” posthumous anarchization” of Marx. “The PCV and the Construction of Socialism in Venezuela,” International Communist Review, July 16, 2014. 17] Luis Bonilla-Molina, President of the Centro Internacional Miranda, a foundation created by Decreto Nº 3.818. Presumably this implies state funding. Lenin, Against Right-wing and Left-wing Opportunism, against Trotskyism (Moscow, Progress 1975), 297. Mikhail Bakunin, 1871, “The Paris Commune and the Idea of the State,” Bakunin on Anarchy, translated and edited by Sam Dolgoff, 1971. “Focus on the key link of human development and practice distinguishes the concept of socialism for the 21st century from the theory and experience of 20th century attempts at building socialism.” The Socialist Imperative, 153. PreviousWhere Did You Get the Money, Anne?